Tori Soper is a Chicago Commercial Photographer specializing in corporate head shots, editorial portraits and event photography for meetings, trade shows, conventions and parties. Elicit professional feedback, and seize on new ideas wherever possible. 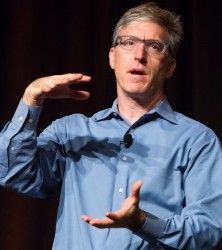 That was a primary business message to hundreds of cannabis entrepreneurs who packed into a second floor ballroom at the Chicago Hilton on Wednesday to hear a speech from economist Steven Levitt, co-author of the best selling book Freakonomics. 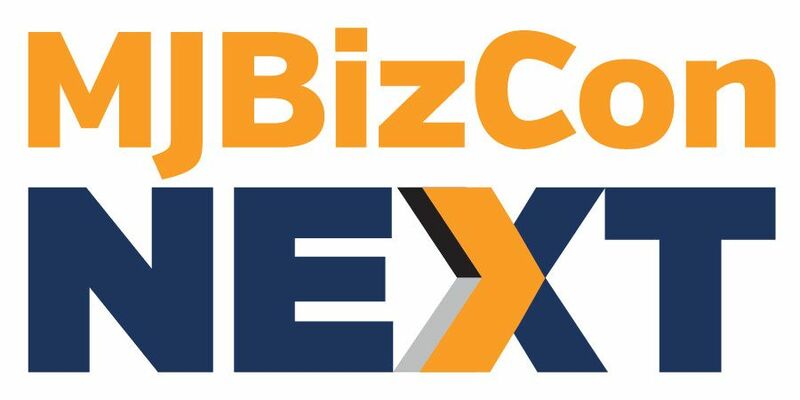 Levitt, who spoke for nearly an hour as the keynote address at the Spring Marijuana Business Conference and Expo, said there are a few core tenets that he believes serve all businesses well, including the cannabis industry. Levitt said his father, a career medical researcher, was a primary example of how a person can rise to the top of their respective field by riding the power of a single idea, all because he decided to become an expert in “intestinal gas” after a colleague offered that as a suggestion. As a result, his father became a nationally renowned medical expert known as the “king of farts.” Though the line got a solid round of laughs from conference-goers, Levitt insisted the lesson was a serious one. So, he suggested, spend a few hours a week simply trying to think of new ideas to capitalize on. Levitt further noted that many business owners don’t consciously look for criticism, which can be a serious mistake. For example, he suggested ancillary marijuana companies could test offering different pricing structures to prospects and clients, to see what types of responses they receive back. I am hoping this was taken out of context but even so the use of the word “steal” is negative and projects the wrong impression. Capitalizing on an idea is one thing (assuming the person with the idea has not instituted it) but stealing it after development is wrong,professionally and morally. How about starting a new business trend for the cannabis industry? One based on honesty, trust and integrity. Traditional businesses which don’t carry the weight of past illegality that cannabis does often use the term “steal smart”. No dishonesty or intellectual property theft is inferred. We’re sure Levitt meant his remarks in that context. I’ve had my copyrighted work stolen and in my opinion, it’s a pathetic commentary on the thieves themselves. There’s more than just stealing my ideas or copyrighted content — there’s executing it properly. In my experience, I haven’t met a content thief that knows how to execute my concepts all the way through the funnel to the point of sale like I do! lol! At best they hobble along and look clunky trying to execute the beautiful symphony that I am able to produce. Here, let me shed a tear for all of the poor widdle thieves out there. boo hoo hoo you will never be able to make it shine like I do! There is nothing “new” to make here…unless you are going to invent a large scale graphene factory from hemp stalks. The future isn’t occupied by 19th century product people. . . . These kinds of drugs will only be popular with traditionalists in 100 years because of GMO and AI. The theft of intellectual property should be prosecuted and the victim should be compensated. This guy, this arrogant and naive person, left out a few important words while he was authorizing himself and others to “steal.” Perhaps he should have said utilize instead of steal and he should have strongly suggested that the person from whom the idea was taken be given credit and some form of payment for his or her idea. By yelling to the world that it’s okay to steal ideas, he might have simply meant that we should improve the world no matter what we have to do, including taking someone else’s idea and running with it. However, this kind of rabble rousing statement, like “Greed is good,” doesn’t justify ANYONE stealing ANYTHING from another person. Will he be grateful to the thief who steals his idea and makes a fortune on it simply because he wasn’t ready to move forward on it? Who is this silly man, anyway?